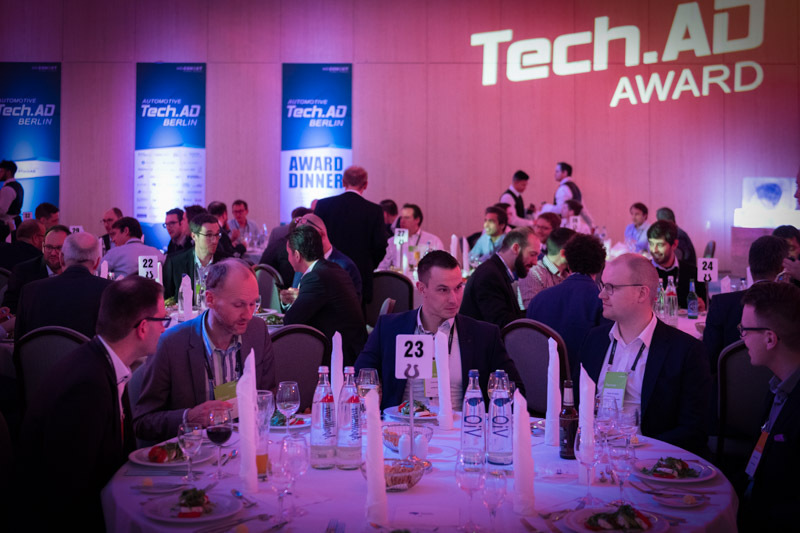 The proud winner of the Tech.AD Award 2019 in the category ‘Most Innovative Active Safety or ADAS Technology / Product / Service’ was BrighterAI and their Deep Natural Anonymization project. The solution empowers the use of public camera data for analytics & AI while being compliant with increasing data privacy regulations worldwide, enabling autonomous vehicles to better understand as well as interact with their environment. 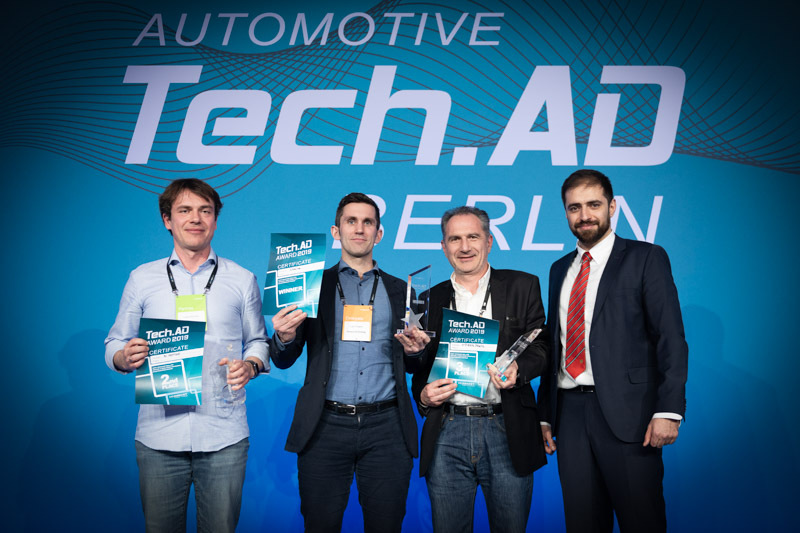 „We are proud to win the Automotive Tech.AD Award for our solution Deep Natural Anonymization that has been named ‘Most Innovative ADAS / Active Safety Technology’. The great acknowledgment from industry experts shows that our AI-based privacy technology for public camera data will be a key enabler – not only for V2X data transmission and 3rd party services but also to bring autonomous vehicles securely onto the road.” , Marian Gläser, Co-Founder & CEO, Brighter AI Technologies. In the second category, ‘Most Advanced Real-Life Testing & Simulation Techniques in Autonomous Driving’ Nobina Technologies’ solution about autonomous shuttles was voted first place. Their real-world use case about self-driving shuttles in the Swedish city of Barkarbystaden (near Stockholm), gave a glimpse in the future of automated urban mobility. “We are honored to win the Automotive Tech.AD Award for the most Advanced Real-Life Testing & Simulation Techniques in Autonomous Driving. We are also proud for taking autonomous vehicles to the next step as a natural part of the public transportation. This proves that the future for mobility solutions already is here.”, Project Manager Nobina Technology. All Tech.AD award winners received an exclusive trophy and certificate as recognition for their outstanding performance. In addition we.CONECT also donated 1,000 € on behalf of the winners to support a charity project. This year we selected the Arche and we were honoured to welcome David Täubert to the event who represented the charity and shared a few insights into their honourable day to day work. Have you recently worked on a project related to Autonomous Driving? Did your project accomplish outstanding results or promises to achieve great outcomes? 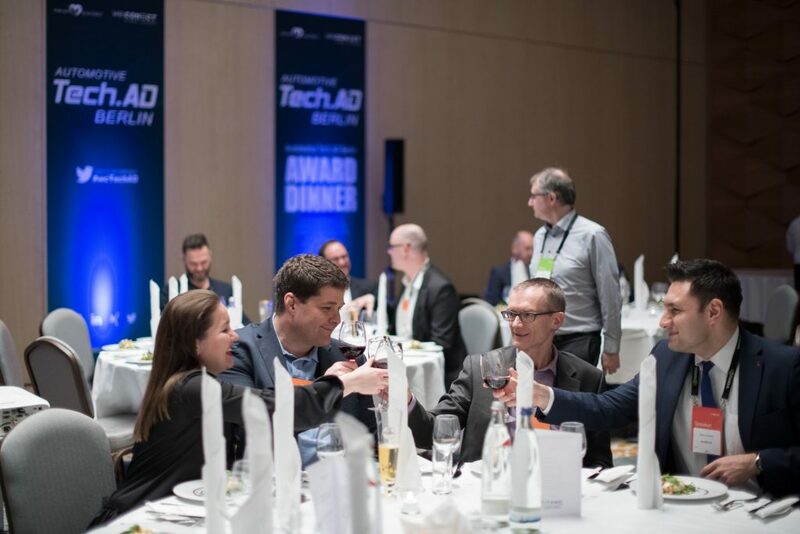 Then join us for the launch of our Tech.AD Award ceremony 2020 in Berlin and share your success. We are inviting all global industry leaders and pioneers to apply with their Autonomous Driving projects and showcase their outstanding achievements. Based on all entries, the jury will nominate the best projects in each category, which will be presented during the official Award Ceremony & Networking Dinner on March 02, 2020, in Berlin. All winners will not only receive a certificate and an exclusive trophy but we.CONECT will also donate € 1,000 to a charity of our choice. • Help a good cause as we will select a charity on behalf of the winners and exclusively donate € 1,000 to support their individual projects. • Share your success with the entire Tech.AD community. Runner-up in the same category was Velodyne LiDar with their project ‘Velarray’; Cognitive Technologies came in third. AImotive came in second, while Transpolis was voted third place. Proud winner of the Tech.AD Award 2018 in the category ‘Most Innovative Active Safety or ADAS Technology/Product/Service’ was Arbe Robotics and their project ‘Ultra High Resolution Radar’, a patented high resolution 4D imaging which is bringing the power of radar to autonomous driving. 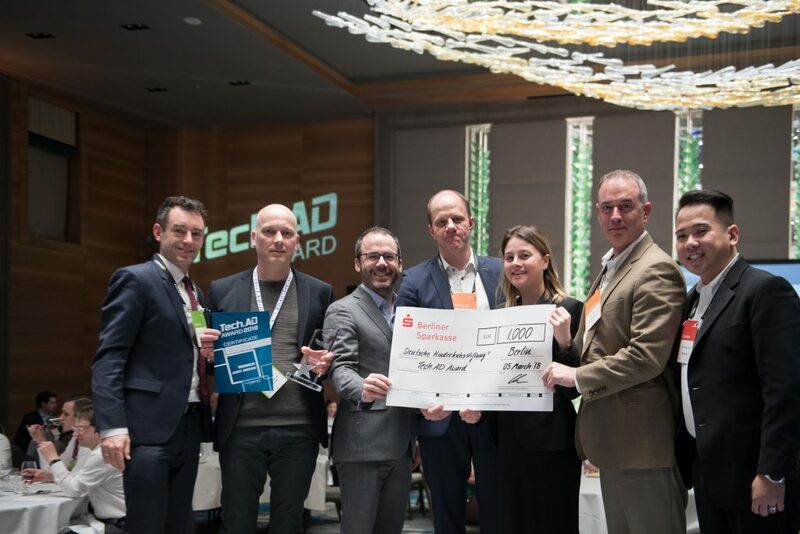 Runner-up in the same category was LeddarTech with their project ‘LeddarCore SoC’ – The world’s first solid-state LiDAR System-on-Chip (SoC) for ADAD/AD mass-market deployments. 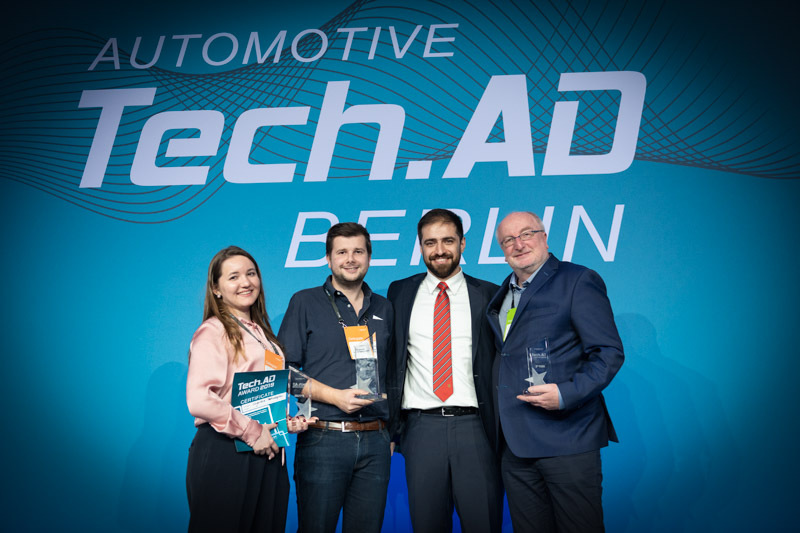 The second category ‘Most Advanced Real-Life Testing & Simulation Techniques in AD’ was won by iMar Navigation and their project entry ‘iSWACO-ARGUS’ which provides the ground infrastructure for verification of highly and fully automated driving vehicles. Runner-up in the same category was BestMile with their project ‘Switzerland’. Well-deserved winner of the special jury award was Renesas with their R-Car V3M-based front camera solution for advanced driver assistant systems (ADAS) and automated driving (AD). The Arche supports and finances projects to help children growing up in underprivileged circumstances. Pater Bernd Siggelkow founded the initiative in 1995. By now the Arche is active in more than 20 German cities and reaches over 4.000 children and teenager with a range of projects like sports clubs, homework and school coachings, summer camps and many more. Growing even bigger the Arche is also active in Switzerland and Poland. The submitted application should be related to an Autonomous Driving project at your company. The video will be shown live on stage at the award ceremony on March 10, 2019. Besides being used for evaluation purposes, the information provided by applicants may be published in further channels (website/portal/social media) by we.CONECT. We reserve the right to publish your project under your name and company name respectively. It is therefore advisable to ensure that all submissions are fully approved by your organisation before applying. 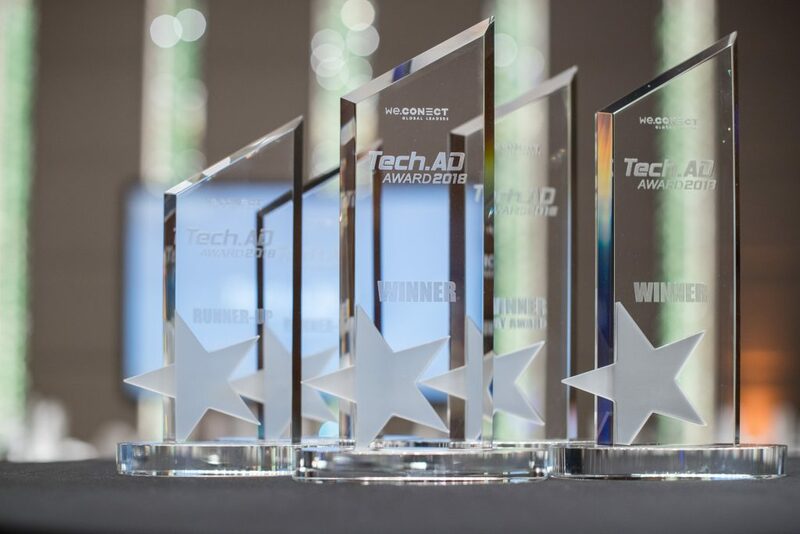 No applications for the Tech.AD Awards will be considered after the deadline as indicated on the website.